CEVA’s connectivity solution suite for storage systems is made up of both SATA (AHCI-Host and Device-side) and SAS (Initiator and Target-side) IPs, all developed via extensive experience with multiple licensees and in volume production. Each of the IPs are provided as RTL IP packages, and each consists of Link and Transport layers as defined by the relevant specification. 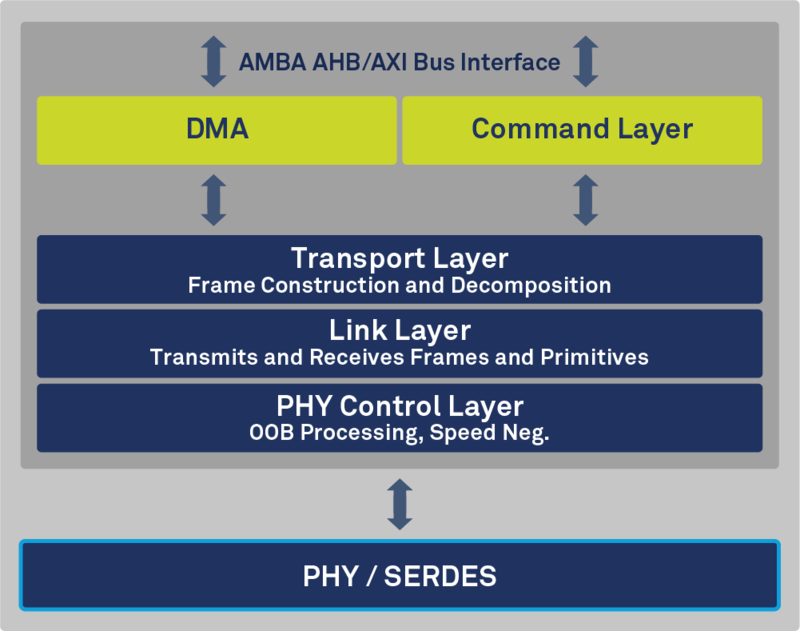 The packages are coupled with a very flexible PHY Control layer for connecting with various third-party PHY/SerDes IPs. At the system chip interface, the IPs present a high-performance DMA engine on the data path, as well as a hardware-accelerated Command layer, all of which are built with an architecture that provides high performance with low processor loading.